Let us help you achieve your organization's most important goals. Organizations large and small trust us to guide them in getting better results in the digital realm. Our customized suite of services meets the specific needs of owners today, regardless of what industry they are in, who want dynamic solutions that are effective and consistent. In order achieve the best results, thoughtful, focused planning must come first. Design and development are at the heart of every Native Theory Digital project. Marketing and optimization are critical to the success of any digital strategy. Critical components affecting the security, performance and results of a project. We cater to owners who want stronger results and a better experience getting them. 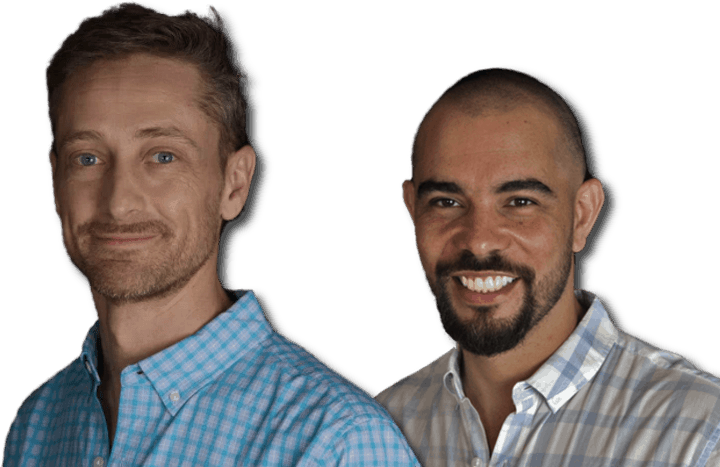 Learn more about our vision, how we can help your organization, and our co-founders, Geoff Sheerar and Joseph Rivera. "Joseph is a very clear communicator, honest, and has practical thinking which makes him easy and reliable to work with. We’re glad we found and continue to work with Native Theory!" "I recommend Geoff without hesitation. Coupled with a real expertise in the development of marketing campaigns and management, he is a pleasure to work beside." "His ideas and creativity have helped grow my business. I am happy and proud to call him my CMO and would highly recommend him." In our experience, we would venture a lot. Contact us to set up a free consultation to gain more insight into your business needs and discuss specific ideas to help get better results. Five things you can fix on your website in the next week to get more clients. Want more leads from your website? 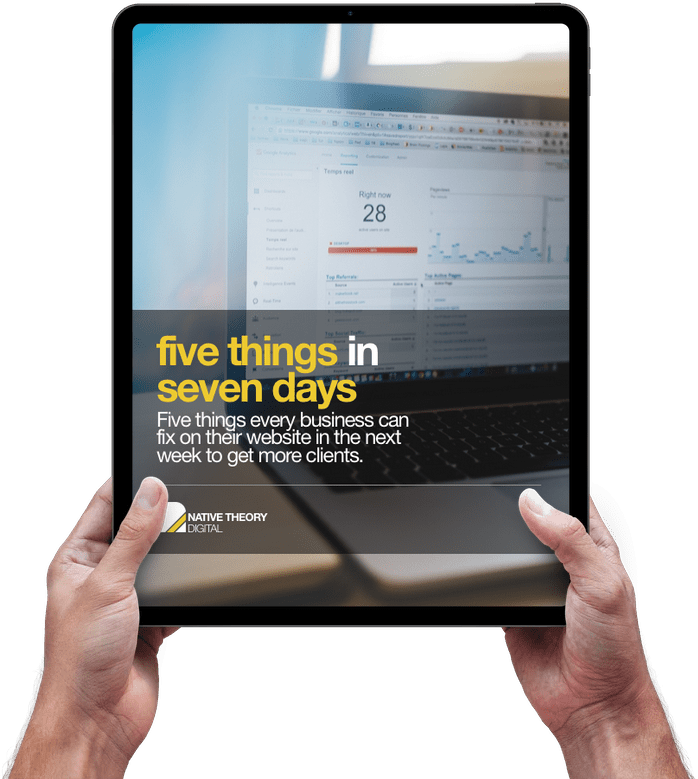 Download this e-book (in PDF format) and learn what 5 things you can fix in the next seven days to attract your ideal visitors and turn them into customers.